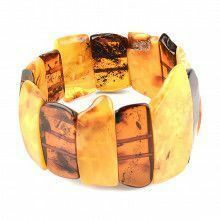 Classic design, easy-to-wear, lightweight bracelet made with 100% genuine Russian honey amber. 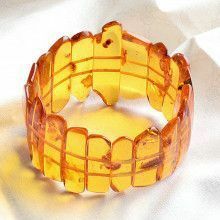 Has two elastic cords and semi-rounded rectangular amber stones. 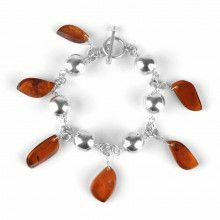 Beautiful bracelet to wear for fashion or healing! Generally fits wrists about 5 1/2" to 7" in size.